Villa Mary is located in Gerani, Crete. Souda Bay View is located in Kalami Chania, Crete. 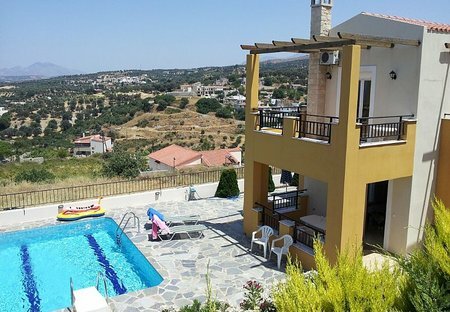 Villa Giannis is located in Kalyves, Crete. This detached vacation rental property is air-conditioned and sleeps up to 8 people with 3 bedrooms, 2 bathrooms along with private swimming pool. 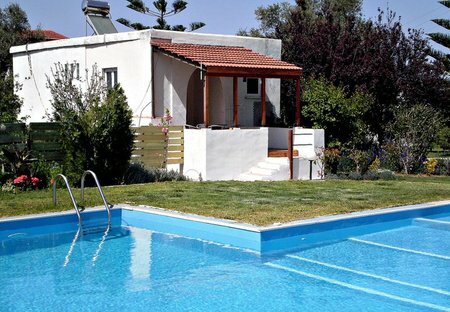 Theo Beach Villa is located in Vatalos / Fragocastello, Crete. Villa Pelagos is located in Agia Triada / Rethymno, Crete. Villa Selini is located in Rousospiti, Crete. Archontiko Galliaki is located in Armenoi - Agios Georgios Rethymno, Crete.